A dynamic leader charted the path to a new global climate agreement. Hours after the world’s governments adopted a landmark climate accord this month, Christiana Figueres was all smiles on the dance floor of a boisterous night club in Paris. As the leader of the United Nations climate convention, she had spent five long years travelling the world to rally support among environmentalists, businesses and govern­ments for the accord, in which 195 countries pledged to keep global warming to well below 2 °C. But now here she was, leading conga lines and dancing to the Village People’s classic ‘Y.M.C.A.’. Asked whether she ever had any doubts, she flashed a smile, pulled her hands together as if in prayer and pointed skyward. “The stars are guiding us,” she said. Born into a politically powerful family in Costa Rica, Figueres came by her activism naturally. Her father led the republic’s 1948 revolution and served as its first president. Her brother followed suit, with a term as president in the 1990s, and her mother served in the congress. Friends and colleagues credit Figueres for breaking out of her comfort zone in Costa Rica and jumping into the international environmental arena. 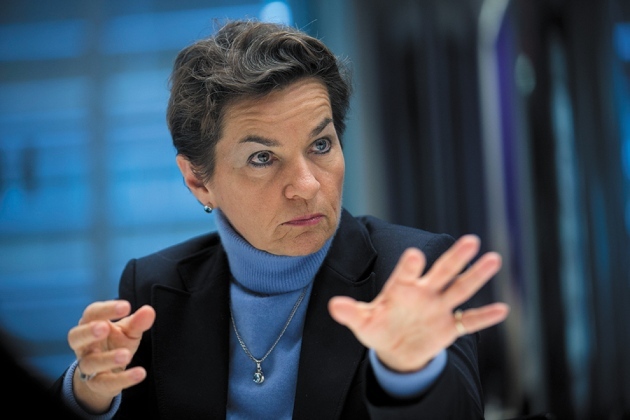 Figueres took charge of an organization and a process that she describes as “in the garbage can” after the diplomatic meltdown at the Copenhagen climate conference in 2009. The secretariat had previously concerned itself mostly with national governments, but Figueres expanded its sphere by reaching out to local and regional governments as well as the business sector. “Her fingerprint is all over the intense presence of cities and businesses in Paris,” says David Waskow, director of the International Climate Initiative at the World Resources Institute in Washington DC. Figueres used all of her political skills to help herd governments towards the Paris agreement — and her roots in a developing country helped her to bridge the gulf between rich and poor nations, a division that had plagued past negotiations. Although current climate pledges fall short of the accord’s ultimate goal, all nations have now committed to the battle against global warming. A modest biologist sparked global debate with an experiment to edit the genes of human embryos. In April, Junjiu Huang published the world’s first report of human embryos altered by gene editing. The news thrust rapid developments in gene-editing technology into the spotlight and ignited a huge debate about the ethical use of such tools. 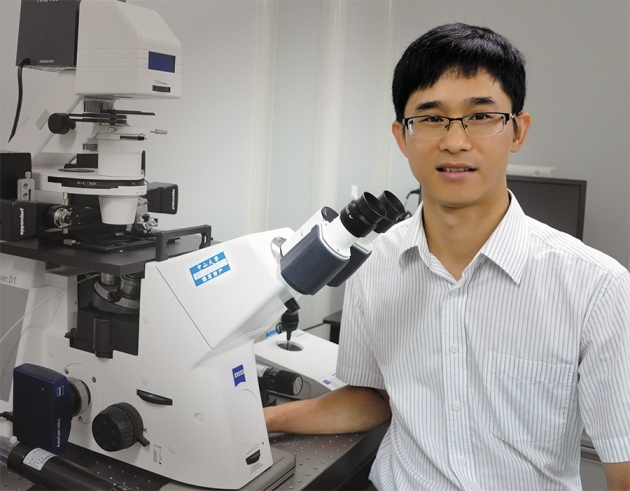 But Huang, a modest and soft-spoken molecular biologist at Sun Yat-sen University in Guangzhou, chose to stay out of the limelight. Huang and his team used a powerful technique known as CRISPR–Cas9, which can be programmed to precisely alter DNA at specific sequences and has swept through biology labs in the past few years. He told Nature in April that he wanted to edit the genes of embryos because: “It can show genetic problems related to cancer or diabetes, and can be used to study gene function in embryonic development.” In his study, he modified the gene responsible for the blood disorder β-thalassaemia. But the opposite happened: the ensuing discussion polarized the scientific community and nucleated several high-powered forums, including an international summit held in December in Washington DC. The general consensus is that gene editing is not yet ready for altering human embryos for reproductive purposes — and there are concerns that it could be adopted prematurely by rogue fertility clinics. Some scientists argue that the technique is permissible for research, whereas others say that this too should be forbidden for fear of a slippery slope. Huang has been notably absent from the debate, and refused to be interviewed for this article. “Our paper was just basic research, which told people the risk of gene editing,” he wrote in an e-mail. “It’s like he’s hiding,” says Tetsuya Ishii, a bioethicist at Hokkaido University in Sapporo, Japan, who was at the US summit. “That’s strange because there was nothing really ethically problematic about his research. He raised the issue, and that kind of drove discussions on the topic at the summit. That’s a good thing.” But Ishii says that Huang does “have some responsibility to address his critics”, perhaps by discussing cases in which clinical use of gene editing could be worthwhile in the future. A single-minded planetary scientist brought the dwarf planet into focus. 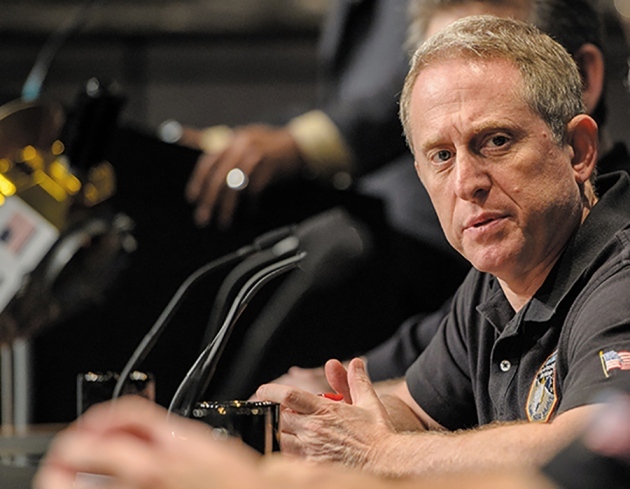 Alan Stern, planetary scientist and workaholic, doesn’t sleep much at the best of times. In the days approaching 14 July — as the spacecraft he had dreamed about, worked for and slaved over for a quarter of a century neared its target — he was down to roughly three hours a night. Stern, of the Southwest Research Institute in Boulder, Colorado, is the principal investigator for NASA’s New Horizons mission, which in July became the first probe to visit Pluto. It whizzed just 12,504 kilometres above the dwarf planet’s surface, in an extraordinarily choreographed fly-by that grabbed images, spectra and other scientific data — as well as headlines around the world. Stern had been preparing for the day since 1989, when he and other young researchers hatched plans to visit the distant world. They submitted their proposal to NASA, and kept their hopes alive even when the agency killed plans for a Pluto mission in 2000 over budget concerns. After Congress revived funding for the concept, and NASA restarted the competition for proposals, Stern’s team won with a lean design that would carry a few key instruments. “That meant a laser focus on getting it there,” he says. Stern is nothing if not laser focused. 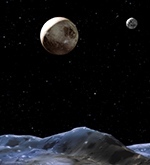 Under his leadership, New Horizons blasted off in January 2006 at a cost of US$720 million, much less than earlier multibillion-dollar missions to the outer Solar System. His three children went through high school and into university with 14 July 2015 imprinted on their brains. When the day arrived, Stern and the rest of Earth got to see Pluto up close for the first time. Among his favourite discoveries: ice mountains that tower as high as 4 kilometres, dune fields that may ripple across Pluto’s surface, and skies that are tinted blue by atmospheric haze. A heart-shaped feature that showed up on images was a “public-relations bonanza”, he says, inspiring people around the world to connect with the dwarf planet. Stern’s drive to explore new worlds is also reflected in his focus on public relations, says David Grinspoon, a researcher with the Planetary Science Institute in Tucson, Arizona, who is working with Stern on a book about the mission. Stern convened an eclectic group of artists, writers and visionaries in New York City months before the fly-by to pick their brains about ways to connect with the general public. “It wasn’t your normal outreach team,” Grinspoon says. Stern pursues public engagement with a singular passion. He is known for seeking out — and scrutinizing — media coverage. Even during the most intense stages of the mission, Stern was tweeting prolifically and posting to Facebook while overseeing press releases. After the fly-by, Stern found himself swamped with speaking invitations. At an astronomy conference in Vermont, he talked for an hour, took questions for an hour and then met Pluto fans individually. Two university students told him that New Horizons was the best thing that had happened in their lifetime. Months after the Pluto visit, some members of the team experienced a post-fly-by depression. Not Stern. He drives ahead as always, working on the data that will dribble back from the spacecraft until late 2016. He is also resuming work on the European Space Agency cometary mission Rosetta, on which he has an ultraviolet spectro­meter instrument, and on plans to fly research payloads on suborbital spacecraft. He has a little more time for sleep these days, but not much. And in October and November, New Horizons ignited its engines to set it on course to visit a second Kuiper belt object, this one on New Year’s Day in 2019. If NASA approves the extended mission, Stern says, “I’m looking forward to finishing what we started”. A chemical engineer is merging electronics with the human body. Zhenan Bao rummages through a plastic box on her desk, eagerly pulling out samples of materials developed in her lab. She finds a thin, nearly weightless patch made of carbon nanotubes that attaches to the wrist like a sticking plaster and monitors the wearer’s heart rate. Then she picks up an artificial skin that uses tiny carbon-nanotube sensors to detect touch; and a version of it that even features hair-like structures to more closely mimic real skin. Bao, a chemical engineer at Stanford University in California and a founder of the field of thin, flexible organic electronics, shines a laser pointer through a sample of the nanotube material used in many of these devices. She laughs as the beam is diffracted into a spray of green dots on the wall, just as it would be when passing through a crystalline material. “That’s how we know it has regular structure,” she says. 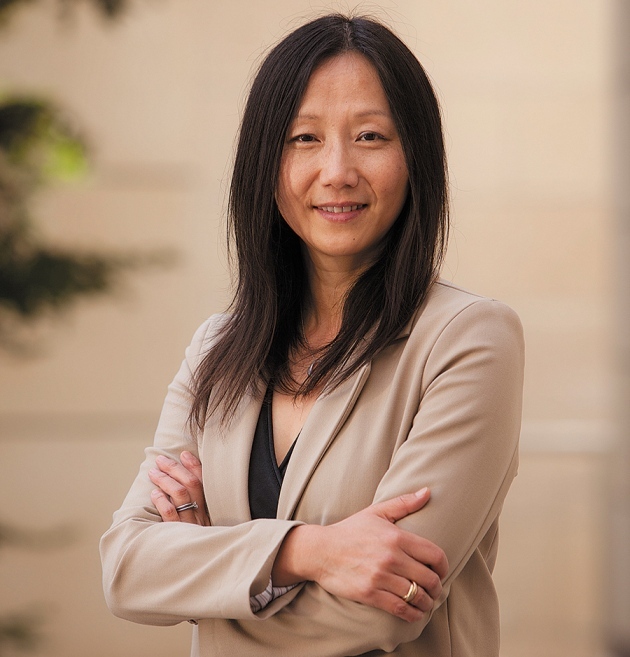 Innovations in her field are often inspired by nature, she says: “If we can understand how to design materials with the same degree of complexity, we will be able to address real-world problems.” A prime example is the creation of medical devices that can be worn or implanted to monitor blood sugar, send sensory signals and more. Progress towards that goal has taken off this year, with Bao’s lab among the leaders. In October, her team showed that its artificial skin could mimic the sense of touch (B. C.-L. Tee et al. Science 350, 313–316; 2015). The researchers took inspiration from human skin, in which specialized nerves fire more rapidly as pressure increases, producing a code that the brain interprets as touch. Previous artificial touch sensors required power-hungry external devices to generate that code. But in Bao’s sensors, pressure alters the oscillating frequency of microscopic circuits made from carbon nanotubes to generate the right kind of signals automatically. The head of Iran’s nuclear programme helped to forge a pact to keep it peaceful. On 14 July 2015, Iran signed an agreement with six world powers to limit the country’s nuclear development in exchange for lifted international-trade sanctions. If the deal is implemented successfully — still far from certain — it could ease years of tension over Iran’s alleged efforts to build nuclear weapons and so allow the country to become a major player in global science. 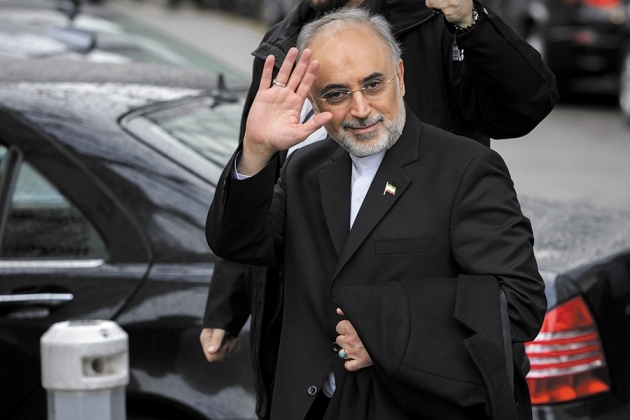 That an accord was reached at all, however, was due in no small measure to nuclear engineer Ali Akbar Salehi, who is head of the Atomic Energy Organization of Iran. He worked closely with his US counterpart, energy secretary Ernest Moniz, to iron out the deal’s technical aspects. Educated at the American University of Beirut and the Massachusetts Institute of Technology in Cambridge, Salehi returned to Iran after the Islamic revolution of 1979 and quickly rose to top posts in both academia and the government. By the 2000s, he had become the international face of Iran’s nuclear programme — a man described as fiercely loyal to his country, but also a voice of reason to whom negotiators could appeal in times of crisis. Salehi is said to be a deeply spiritual person who has the trust — and the ear — of the country’s supreme leader, Ayatollah Ali Khamenei. And he is one of very few people to have held senior posts in both hardline and comparatively liberal governments. This talent for building bridges is what enabled Salehi to work so effectively with Moniz during the negotiations, says Reza Mansouri, an astronomer at the Institute for Research in Fundamental Sciences in Tehran and a former deputy science minister of Iran; they shared the language of science. Mansouri, who has known Salehi for more than three decades, says that he has the modern, rational frame of mind that enables people to “agree on how to talk to each other”. A senior astronomer worked to unmask a prominent sexual harasser. They came forward, one by one. Young female astronomers sought out Joan Schmelz and confided in her about the sexual harassment that they had endured. Schmelz, a solar physicist and chair of the American Astronomical Society’s Committee on the Status of Women in Astronomy from 2009 to 2015, heard too many of these stories — and a lot of them involved the same man. Schmelz told the women that they were not alone, and asked whether they wanted to talk to others who were in the same situation. Thanks in part to those introductions, four women eventually filed complaints. Their actions, which became public this year, led to the resignation of Geoff Marcy, a well-known exoplanet hunter at the University of California, Berkeley. It was one of the most dramatic episodes in a string of gender-equality controversies this year, including Nobel laureate Tim Hunt’s dismissive comments about women working in the laboratory. In astronomy, Schmelz’s behind-the-scenes efforts to expose sexual harassment set the stage for a sea change in community understanding, says Meg Urry, an astronomer at Yale University in New Haven, Connecticut, and president of the astronomical society. After Marcy was outed, astronomy departments at universities and other institutions began frank discussions about unacceptable behaviour. “Without Joan, I don’t think we would have seen this remarkable change,” says Urry. Women were comfortable sharing their stories with Schmelz because she had been through the same thing. Early in her career, Schmelz had found herself the target of harassment by her supervisor. “I was very isolated, and I didn’t have anyone to confide in,” she says. She only began to realize what had happened to her years later, in 1991, when attorney Anita Hill accused Clarence Thomas, a judge nominated for the US Supreme Court, of sexual harassment. In 2011, Schmelz went public, through a blog post on the website of the Committee on the Status of Women in Astronomy. Then the Marcy stories started pouring in. “For a while I kept trying out how we could move forward — I contacted a lot of people, players in the community, to see if there was anything we could do for these women,” she says. Eventually the option emerged of filing complaints under the legislation known as Title IX, which prohibits sexual discrimination on campuses that receive federal funding. In July 2014, the first complaints hit Berkeley. “I wasn’t sure it would ever happen,” says Schmelz. All this intense work took place as Schmelz led a busy career in solar astronomy. 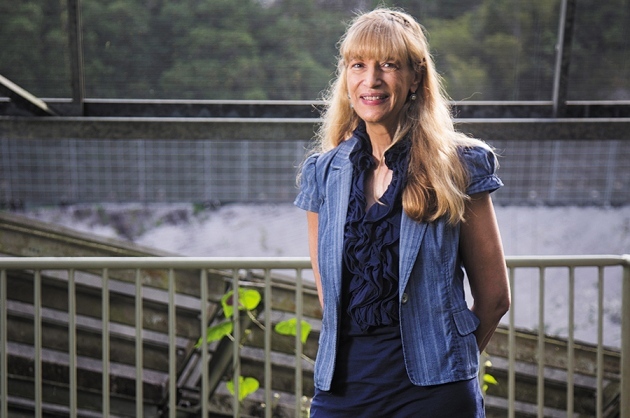 In June this year, she took a job as deputy director of Arecibo Observatory in Puerto Rico. Months later, the director resigned, leaving Schmelz in charge of the world’s largest single-dish radio telescope. She now lives just a block from the beach, which offers a much-needed respite when she can spare the time. But Schmelz knows that her work on harassment is not over. She would like to press universities to keep long-term records of complaints. In most institutions, there is no method for tracking whether there have been one, two or ten incidents reported against a given person over time. A big thinker helped to turn ancient genomics from niche pursuit to industrial process. For most of its 30-year history, the field of ancient genetics has revolved around discovering exceedingly rare samples — a bone, a tooth — that harbour enough intact DNA to study. This year, population geneticist David Reich proved that it’s possible to explore human history by powering through ancient genomes en masse. Reich’s genome factory has revealed mass migrations, the spread of farming and the roots of languages. Last month, his group at Harvard Medical School in Boston, Massachusetts, reported genome data from 230 people who lived in Europe and the Middle East over the past 8,000 years, tracking changes in skin colour, immunity and other traits (I. Mathieson et al. Naturehttp://doi.org/9rb; 2015). At university, “I think I was sort of idealistic”, Reich says. “I was interested in grand unifying theories.” For his first degree, he switched from sociology to physics. During his second, in biochemistry, he fell for human population genetics, and soon built a reputation for scientific rigour. In the late 2000s, plummeting sequencing costs and other advances made it easier to extract and analyse ancient DNA. Reich realized that by analysing the genomes of large numbers of people, he could see how immigration and interbreeding changed the genetics of entire regions. In 2013, Reich opened his own lab devoted to sequencing ancient remains. Its scale was industrial from day one: the first human samples came from 66 individuals who had lived in what is now Russia, including members of a Bronze Age culture called the Yamnaya. In June, the team described a massive migration of Yamnaya people into Western Europe, some 5,000 years ago (W. Haak et al. Nature 522, 207–211; 2015). It is not the only group powering through ancient genomes: the lab of Eske Willerslev at the Natural History Museum of Denmark in Copenhagen reached a similar conclusion (M. E. Allentoft et al. Nature 522, 167–172; 2015). Decades of diligence earned one physicist a record for resistance-free electricity. As a young researcher during the 1970s and 1980s, Mikhail Eremets proved to have a temperament well suited to life at the Institute for High Pressure Physics outside Moscow. The facilities were often abysmal, but the soft-spoken Belarusian was prepared to work around them — even dialling the same telephone number 100 times just to get a working line. “If I want to do something I am happy to repeat it many, many times,” says Eremets, who is now at the Max Planck Institute for Chemistry in Mainz, Germany. 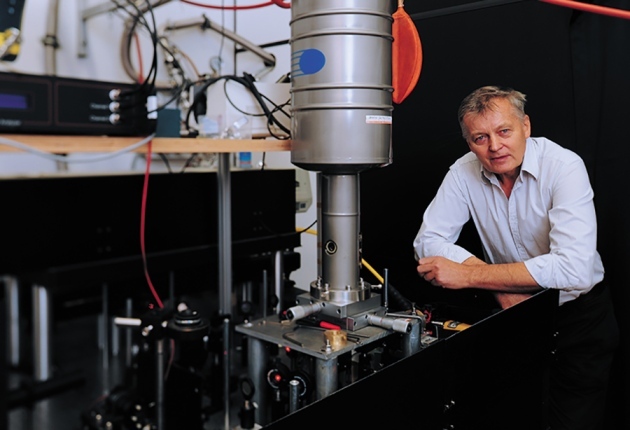 That doggedness has served him well in his quest to understand how materials behave at pressures close to those of Earth’s core — conditions that he recreates by squeezing tiny samples between the tips of two diamond ‘anvils’. These experiments have been painstaking and repetitive, with results that never troubled the Nobel committee. Until late 2014, that is, when Eremets and his colleagues reported hints that pressurized hydrogen sulfide — the compound responsible for the smell of rotting eggs — can become a superconductor, allowing electricity to flow without resistance at a record-breaking 190 kelvin (−83 °C) (A. P. Drozdovet al. Preprint at http://arxiv.org/abs/1412.0460; 2014). He and others published conclusive evidence — and measured an even higher temperature — in August (A. P. Drozdov et al. Nature525, 73–76; 2015). The advance has been hailed as a giant step towards the long-sought goal of room-temperature superconductivity and the promise of loss-free electrical transmission. It has certainly rocked the physics community, says Igor Mazin of the Naval Research Laboratory in Washington DC. Other materials have produced superconductivity at high temperatures, but the mechanism by which hydrogen sulfide operates has never achieved superconductivity above 40 kelvin. No independent group has confirmed the result entirely, but Eremets is already planning experiments to see whether hydrides doped with chemicals can superconduct at normal, atmospheric pressure — an essential step towards practical use. Having done most of his important work since turning 50, he feels he has plenty of research left in him. “In that sense I am still a young, growing scientist,” he says. A synthetic biologist won a breakneck race to produce opioids in yeast. 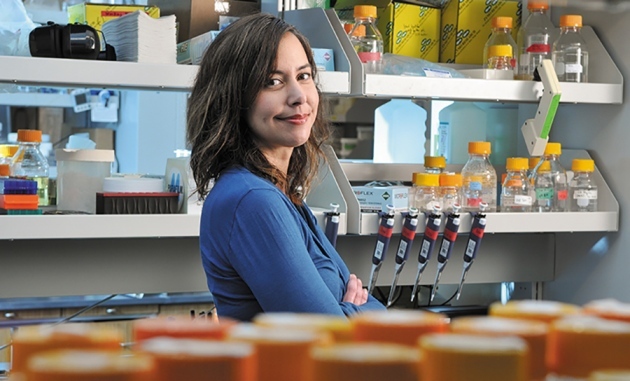 Early this year, synthetic biologist Christina Smolke was in a dead-heat race with a handful of other labs to engineer a yeast strain capable of making opioids. These powerful pain-killing drugs are crucial in medicine, but they come solely from opium poppy crops that can have unpredictable yields. Scientists were seeking a more stable production method but faced a daunting hurdle: no one had been able to identify an enzyme that converts reticuline — a chemical building block of morphine and other narcotics — from one form to another. The discovery enabled Smolke’s lab to stitch together a pathway of 23 different genes from plants, mammals, bacteria and yeast to produce the world’s first narcotic through synthetic biology (S. Galanie et al. Science 349, 1095–1100; 2015). It was a crowning achievement for a biological wunderkind who started her own lab at the California Institute of Technology in Pasadena at the age of just 28. The opioid-producing yeast cells contain the most complex synthetic-biology pathway developed so far, and mark a turning point for the field by showing how step-by-step engineering can turn microbes into drug factories. “This will significantly impact our future ability to produce many more chemicals through biotech­nology,” says Jens Nielsen, a synthetic biologist at the Chalmers University of Technology in Gothenburg, Sweden. Much of the news coverage of the work, however, stirred fears about how it could foster new ways to easily manufacture illegal drugs — and some scientists have argued for tighter regulation of the growing field. Smolke counters that existing regulations already restrict the production and distribution of narcotics; any lab that wishes to work with the yeast strain reported in her paper, for instance, must be licensed by the US Drug Enforcement Administration. So far, no one has requested the strain. Smolke co-founded a company, Antheia, based in Palo Alto, to produce opiate drugs in yeast commercially, and specialists in the field suspect that more will follow. But some onlookers are circumspect. Plant biologist Ian Graham at the University of York, UK, says that it will be hard to beat poppies. “Where plants already do it very well, the arguments for taking a synthetic-biology route are much less convincing,” he says. For Smolke, the goal is not merely to copy plants, but to engineer opioids that are free of side effects such as dependency and addiction. Sitting in the office of a Palo Alto incubator space, wearing jeans and grey Converse sneakers to a meeting with the co-founders of Antheia, Smolke can appear casual — but the intensity that has propelled her to the pinnacle of her field is tangible. For her, the year’s accomplishments are just part of a quest to understand and improve on opioids, which are among the most complex natural chemicals . “It’s a very powerful approach to take inspiration from nature and go beyond it,” she says. A psychologist pledged to improve reproducibility in science. 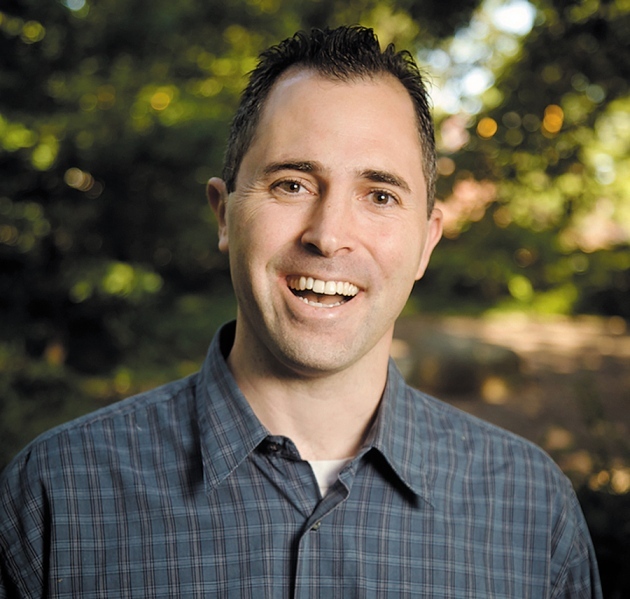 When Brian Nosek was a graduate student in experimental psychology, he started working on the implicit-association test, which reveals people’s unconscious prejudices with the push of a button. Tap right every time a male name appears on a screen, for example, and left for a female name. That’s easy — but add some stereotypically male or female roles into the mix and things get interesting. Even the most liberal minds will sometimes stall when asked to press the same button for the word ‘executive’ and for the name ‘Susan’. The tests are challenging, informative and kind of fun. So in 1998 Nosek convinced his mentors, who had developed the test, to put it online. It was a success: about a million people per year now take the test for research, corporate training and other reasons. “It really spread the word about what unconscious bias is,” says Betsy Levy Paluck, a social psychologist at Princeton University, New Jersey. For Nosek, a key demographic still needs to be educated about their biases: scientists. Nosek is convinced that researchers are unconsciously influenced by their hypotheses, that these biases can be seen in common practices that distort the interpretation of data such as p-value hacking, and that they are major drivers of the much-discussed crisis in research reproducibility. 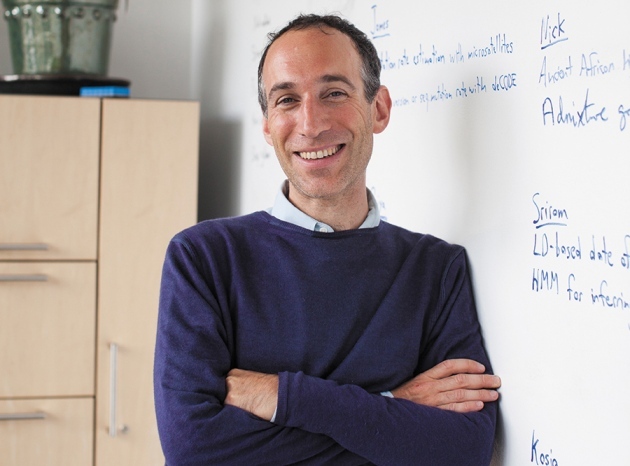 In 2013, Nosek took leave from his post at the University of Virginia in Charlottesville to co-found the Center for Open Science (COS), a non-profit company that builds tools to facilitate better research methodology. It hit several milestones this year, accumulating US$18 million in funding and a staff of 68. Nosek also co-authored a set of guidelines for transparency and openness that more than 500 journals have signed up to (B. A. Nosek et al. Science 348, 1422–1425; 2015). But the COS’s most visible output in 2015 was the Reproducibility Project, an ambitious attempt to re-test seminal findings in 100 psychology papers (Open Science Collaboration Sciencehttp://doi.org/68c; 2015). The decision to run the project “was quite brave of him”, says Dorothy Bishop, a neuropsychologist at the University of Oxford, UK, because poor results could tarnish the field’s reputation. In the end, 61 of the findings could not be replicated — but the outcome was mostly received well, something for which many psychologists credit Nosek’s careful diplomacy and can-do approach.